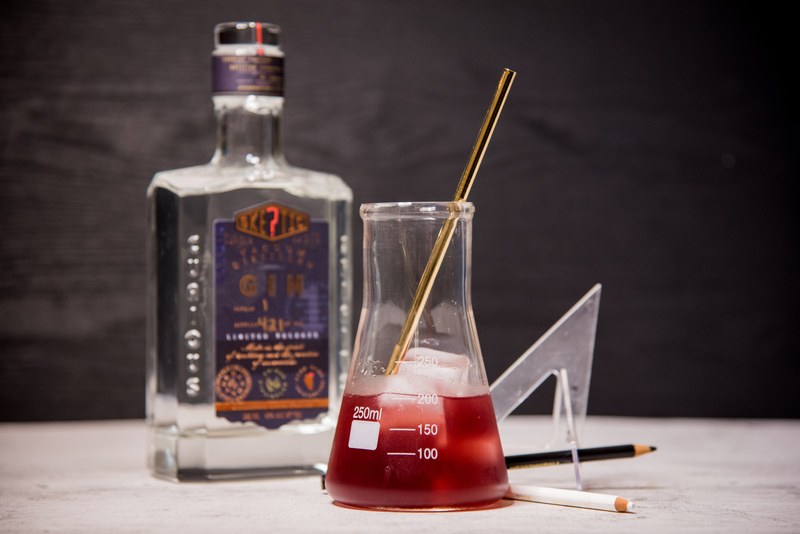 Conduct your own experiments in mixology with these curious cocktail recipes, specially formulated for Skeptic Spirits by Valcohol. Set aside one basil leaf for garnish. Place all remaining ingredients other than prosecco into a shaker and muddle thoroughly. Add ice and shake until chilled, then double strain into a flute. 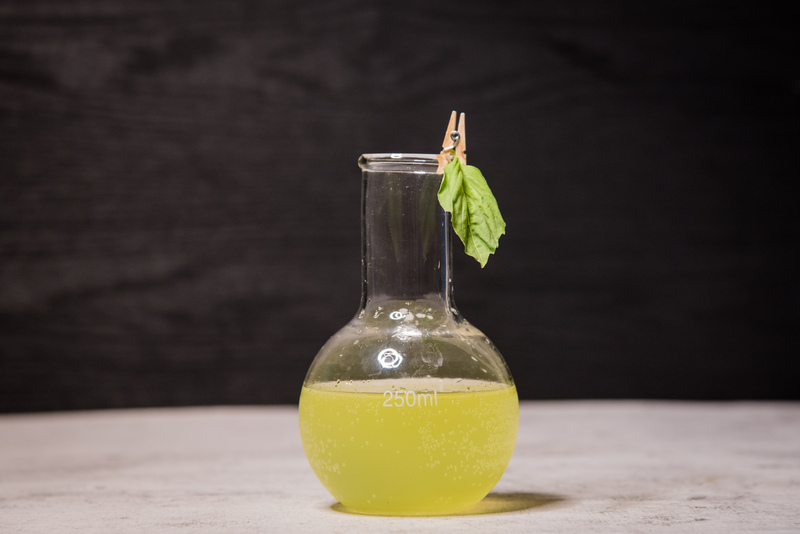 Top with prosecco to taste and garnish with the remaining basil leaf. Shake vodka and cherry juice with ice, then strain into a rocks glass over ice. 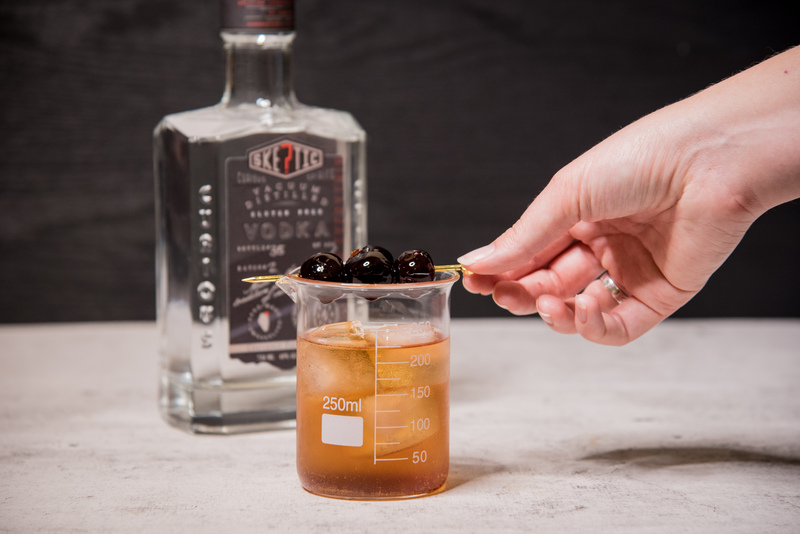 Top with soda and garnish with an Amarena cherry. To make syrup, add 1 cup water, 1 tbsp grated fresh ginger, 1 tbsp turmeric powder and ¼ cup cane sugar to a small saucepan, bring to a boil and simmer for 5 min. Strain, allow to cool and store excess in the fridge for up to 3 weeks. To make cocktail, add all ingredients to a shaker with ice. Shake until chilled, then strain into a rocks glass over ice. 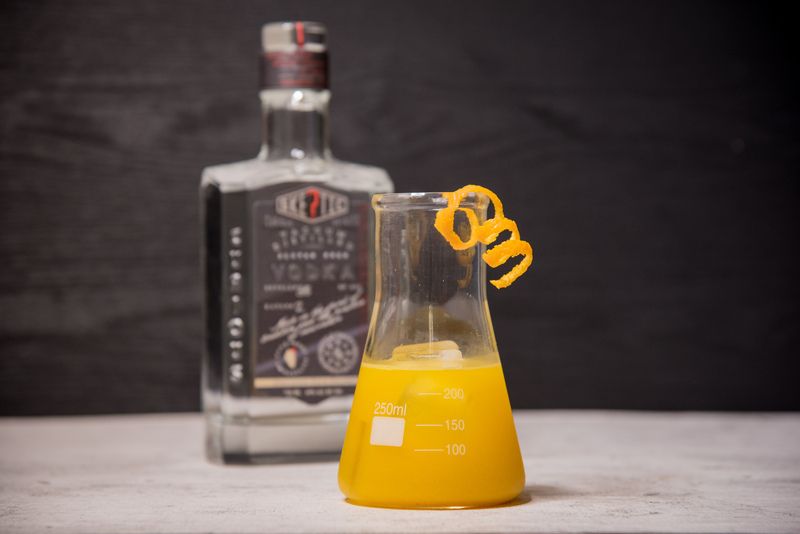 Garnish with the orange twist. To make syrup, add ½ cup wildflower honey and ½ cup water to a small saucepan and warm on low heat, stirring until honey is dissolved. Allow syrup to cool and stir excess in the fridge for up to 3 weeks. To make cocktail, add all ingredients to a shaker with ice and shake until chilled. 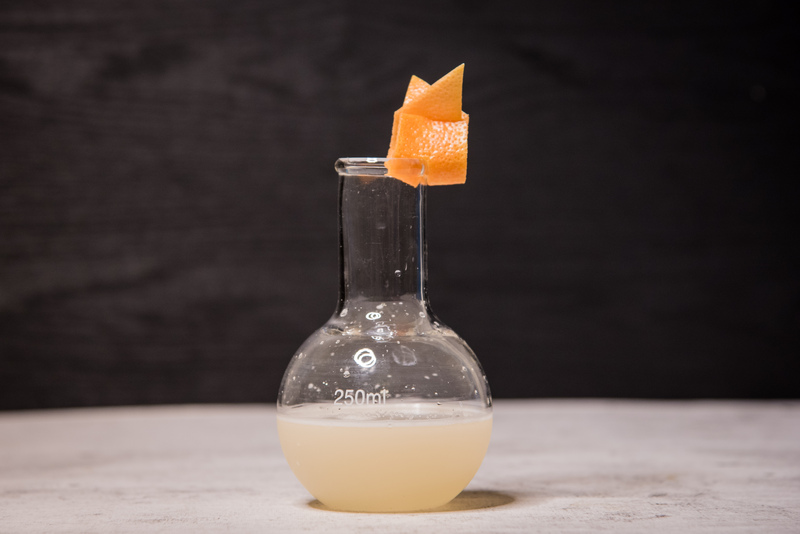 Strain into a coupe glass and garnish with the grapefruit twist. 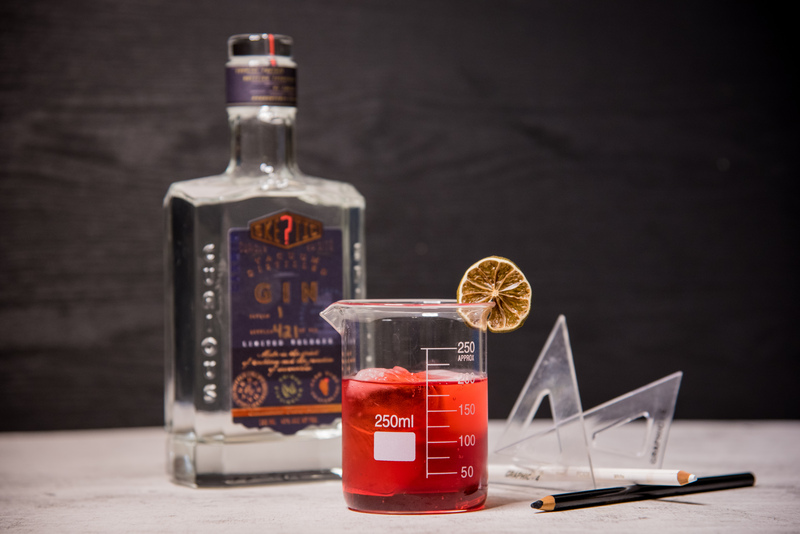 To infuse gin, add 1 cup gin, 1 tbsp dried hibiscus flowers or a packet of hibiscus tea to a glass jar. Allow to infuse for 6-12 hours, then strain and store in a dark place. 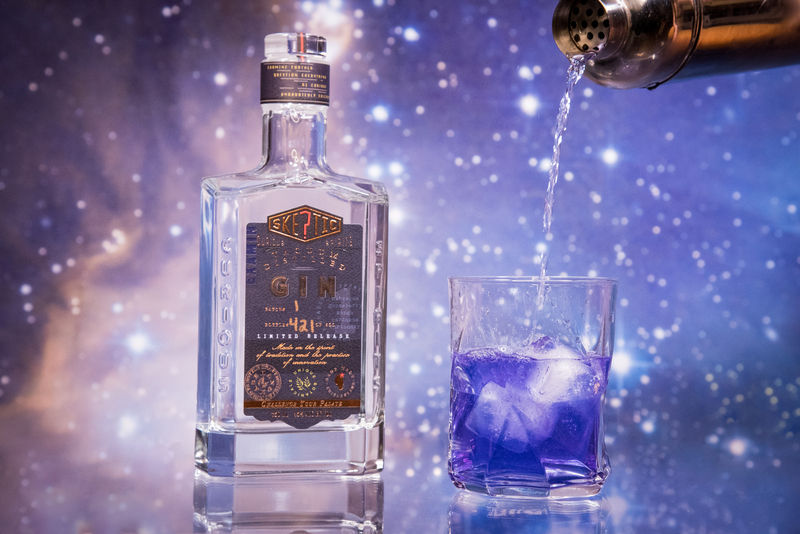 To make cocktail, pour infused gin into highball glass over ice and stir to chill. Top with tonic water and garnish with the dehydrated lime wheel. Stir all ingredients with ice to chill and strain into a small Collins glass over ice. Serve with a straw.